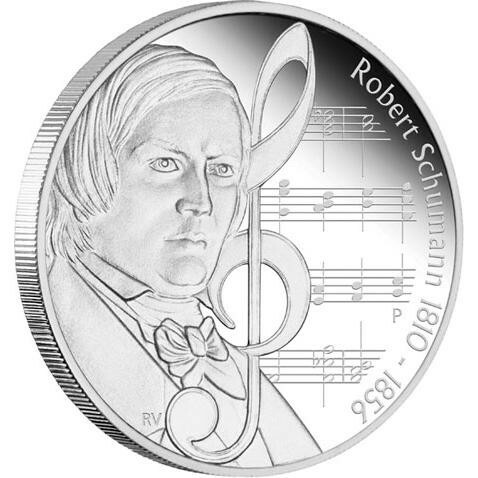 Robert Schumann, one of the most famous and important Romantic composers of the 19th century, was born 200 years ago in Saxony on 8 June 1810. 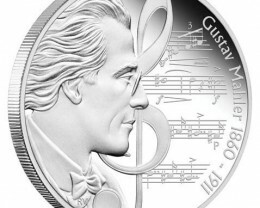 As a young man he studied the piano, but a hand injury ended his hopes of becoming a virtuoso. 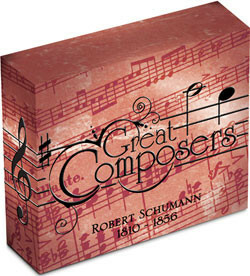 Instead, Schumann dedicated himself to composition. 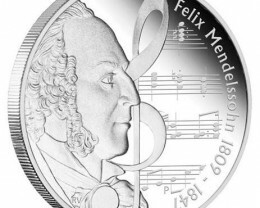 During different phases of his career, he focussed on keyboard music, song, chamber music, choral music, opera and symphony. 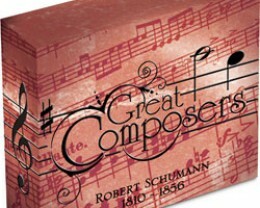 Schumann’s genius, however, was cut short by his death in an asylum in 1856. 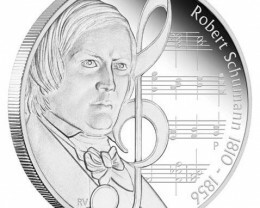 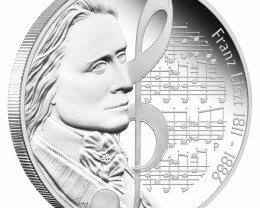 The coin’s reverse depicts a representation of Robert Schumann, a treble clef and music notes. 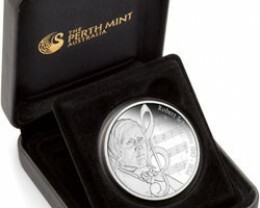 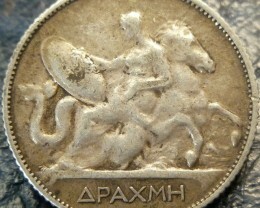 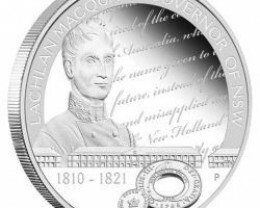 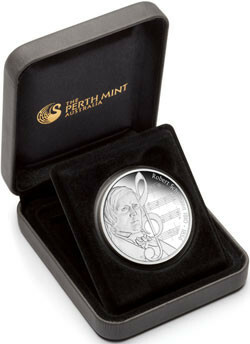 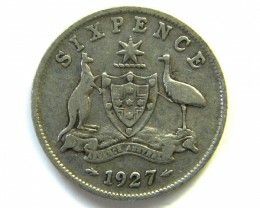 As well as The Perth Mint’s ‘P’ mintmark, the design includes the inscription ‘Robert Schumann 1810 – 1856’. 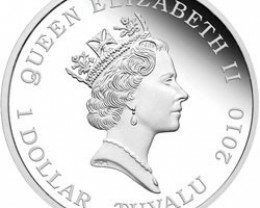 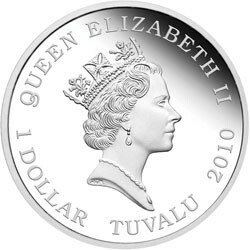 Issued as legal tender under the authority of the Government of Tuvalu, the coin bears the Raphael Maklouf effigy of Her Majesty Queen Elizabeth II and the 2010 year-date on its obverse. 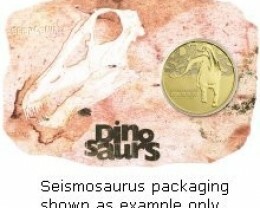 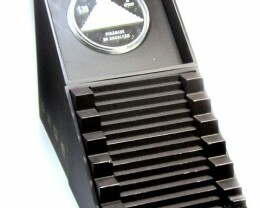 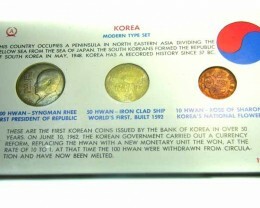 Each coin is housed in a presentation display case and customised shipper.